The most competitive end of the automotive market happens to be the smallest car segment also called the A-segment. This is the compact hatchback segment dominated by the Maruti Alto with other fringe players like Hyundai Eon and the Datsun Go clutching at the straws. Breaking through this segment isn't easy, volumes may be high but value low and at the end of the day what customers are looking for more than anything is overall ownership value. That is a terribly hard thing to come by where pricing at all stages is highly critical and none barring Maruti have managed to surpass expectations. Renault India are the latest to step into this segment and they have a unique proposition to offer. Their car for the customers in this sub Rs 4 lakh segment isn't a hatchback, it's a compact car aping to be an SUV. That ticks one box on the unique selling proposition list. According to Gerard Detourbet, the father of the Logan, the Duster, the Lodgy and now the Kwid, the global hatchback segment (irrespective of price bracket or size) is seeing a sharp decline and it is being replaced by SUVs. He's right you know, the Alto for instance is no longer the highest selling car in India, it's the Dzire and though that car isn't an SUV, you'd know by now just how popular SUVs are getting to be in India. So full marks to Renault for toeing an absolutely new line. So what is the Kwid and what does it have to offer? Read on. The Kwid is part of Renault's CMF strategy, that is Compact Module Family. It's very simply put, several bits and pieces that can be stitched together in myriad ways to build various cars of differing sizes catering to different segments. This brings about a huge cost saving to the manufacturer as well as the consumer, undoubtedly the need of the hour. The Kwid comes under the CMF-A classification, the A representing the sub compact segment. Likewise higher segment of cars will be classified as CMF-B, CMF-C and so on, you get the drift. Internally the Kwid is code named the BBA where the first B denotes the type of body, the second B the platform and the A that its the first car on this type of platform. Interesting? Then you should continue reading. 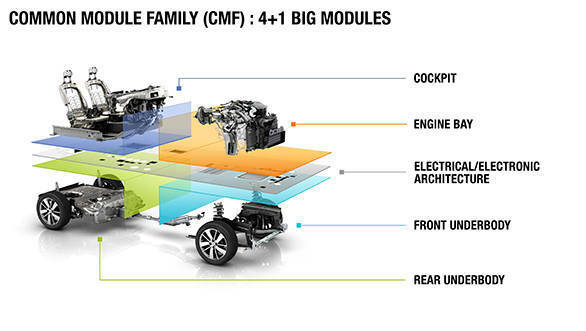 This is a schematic of the Renault Common Module Family (CMF) from which the new Kwid emerges. 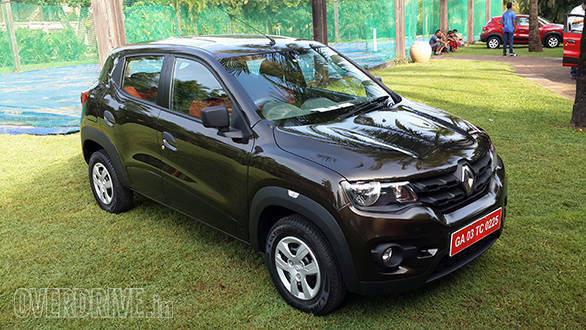 The Kwid is a CMF-A platform vehicle, where the A suffixed represents "Affordable"
The Kwid was developed with inputs from France, Japan, Korea and predominantly India. Internal equipment was developed and tested by Renault's Korean arm, not surprising! Endurance and durability was tested in France. Japan contributed to the electronics. India however brought a bulk of the development since the car was to be first launched globally here. The design came from Renault's studios in Chennai and Mumbai, whereas the body and chassis were tested here in India. Sourcing of components and overall assembly and final testing was also all conducted in India. So in a sense this truly is a global car. 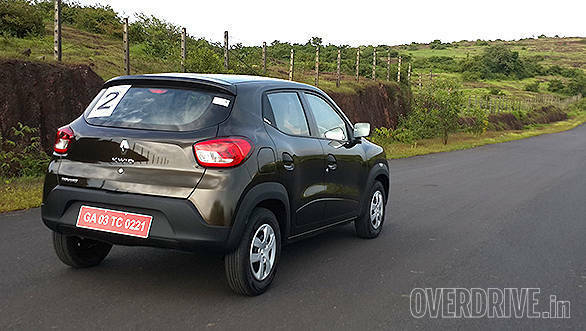 Strangely enough the Kwid came under a lot of opposition internally, simply because this car did not feel Renault enough. Several questions were raised but slowly and surely Gerard managed to answer all of these. Today the Kwid stands tall and proud, 50 percent of the Kwid's journey is done, a car stands ready to roll out of the plant onto the road. The other 50 percent is now in the hands of the customer. As for us, here's what we discovered. The Renault Kwid has a stance which is second to none in this segment. However don't for even a second be fooled by all the superlatives indicating its SUV-like persona. This is quite simply a large hatchback sitting on tall suspension, very similar to the the pseudo crossovers of the Hyundai, Volkswagen and Toyota ilk. At it's tallest the Kwid barely reached my shoulders and I stand 5'9" tall. There are however several attention grabbing elements, headlamps are big bold units and are coupled to the indicators which are housed in the same casing. 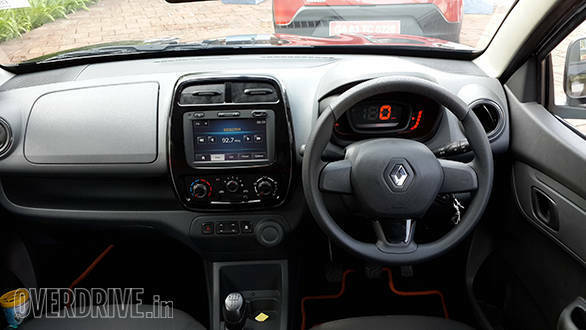 The large Renault lozenge sits in the centre of the bonnet and has the two-piece chain link grille as its background. The bonnet has a power bulge to it. The sides also look sculpted with muscular haunches and protective plastic cladding on the wheel arches giving it an aggressive personality. It's 3679mm long, 1579mm wide and 1478mm tall. It's has a 2422mm long wheelbase and 180mm of ground clearance. The wide clearances in the wheel wells thanks to the small 13" wheels and tyres make it looker taller but that's a clever optical illusion. So it's taller, longer, wider and sits higher than the competition, yet manages to snugly fit in the sub compact segment. It's also got several chunky black plastic bits that further strengthen its visual appeal. Thus far it's the cleverest and handsomest application of plastic cladding in this segment or any other. It's also the most unique looking hatchback to date in a segment that really hasn't seen much design innovation emerge. The rear profile is the only one that appears very hatchback like. Sculpted and muscular, it too is a refreshing design in an otherwise dull segment. The dashboard is my favourite design area; simplistic, non cluttered and therefore optimising space over all else. And space is today one of the ultimate luxuries. 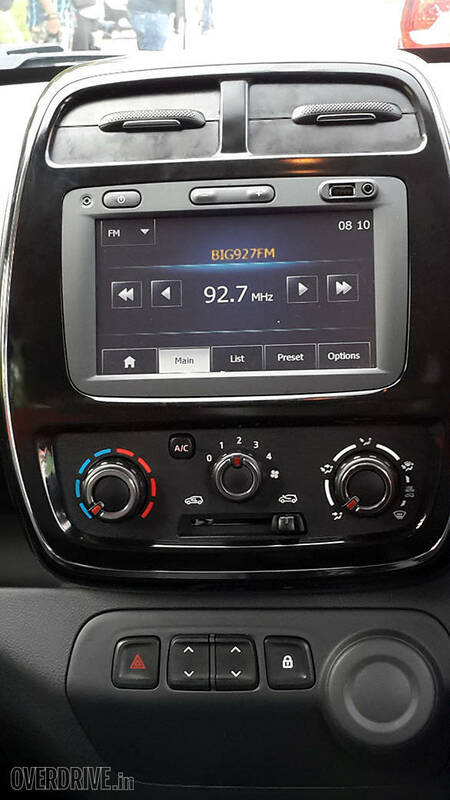 The dash is dominated by the chrome bezeled centre console which has the same touchscreen unit used in the Duster and Lodgy. The touchscreen provides the user to control media functions, telephony through Bluetooth and navigation. It's surrounded on the top and bottom by the air-con vents and dials respectively. The instrument binnacle is of a digital type and displays everything needed except for a tachometer which is entirely absent. At the left of the centre console is a three stack storage area or three glove boxes stacked one above the other. This also means the Kwid will not get a passenger side airbag though a driver airbag is offered as an option. 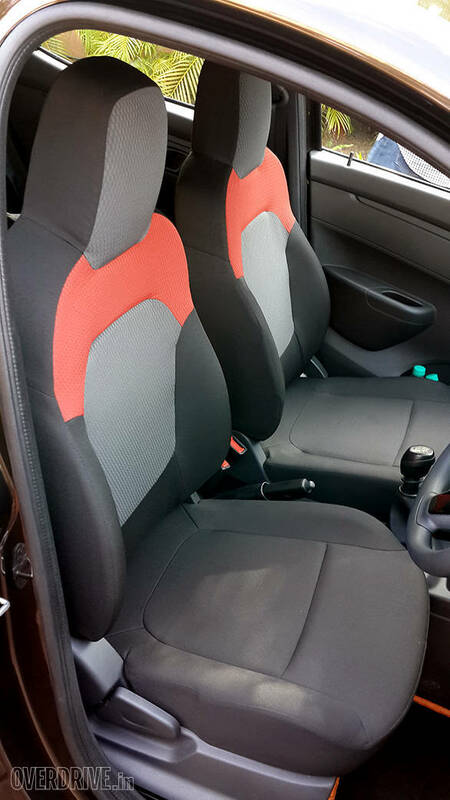 Space inside a sub compact is usually at a premium but slimmer seats and a more upright H-point provide enough room. Three grown-ups will find space on that rear bench a bit of a squeeze and certainly not encouraging for long drives. Ideally use it as a 2+2 seater. Quality overall is reasonable for the class. Don't go expecting it to take you aback and you won't be disappointed. Fit and finish are good but I'm not sure about consistency. The example at the global unveil had a few faults, the glovebox for instance would not shut cleanly. And now at the drive experience, the doors would not shut cleanly though when they did, it did not feel rickety like in some of the competition. Quality of plastics are also what you'd expect from I presume a sub Rs 3 lakh car, good but definitely not European. I, in fact suspect European or Brazilian models will have a touch better plastic quality. 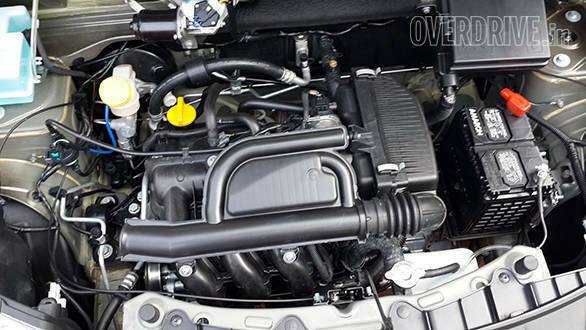 Renault has built an all-new engine for the Kwid from ground up. This 799cc motor from the BR family of Renault engines makes 54PS@5,678rpm and 74Nm@4,386rpm. This petrol engine has a dual overhead cam architecture with a 4-valve per cylinder valve train. It is mated to a 5-speed manual transmission, also all new. Plastic has been used extensively in the engine, of course not in the critical components. However components like the oil sump and intake manifold are plastic parts which help in reducing weight. Renault hasn't disclosed acceleration performance figures but fuel efficiency is claimed to be a class leading 25.17kmpl. Critical question though is whether the engine will feel adequate as a workhorse. Inner city running will be a breeze, the transmission ratios are nicely matched to the torque curve of this engine and it revs easily and never felt stretched to the limit. Thanks to the overall kerb weight, which stands at just 660 kilos, the engine never really breaks into a sweat. However load it up and I suspect this engine is going to work very hard indeed. A full test will reveal whether it can handle heavy duty tasks or not. That said a majority of you who use the car largely alone or with just a passenger or two at most, and rarely for a long drive out of town, will find this a perfectly adequate car to drive. Engine refinement too is quite impressive, there isn't first of all the cold engine rattle that sub litre class engines are prone to when fired up. Second the noise insulation is tightly controlled so you don't really hear the engine clatter inside the cabin as a disturbance once on the move. Engine responses too are quick and a slick transmission with a strong power band should keep the labours of driving in urban traffic to a bare minimum. The advantage here is that 80 per cent of torque is available from as low as 1,200rpm, so you feel the surge instantly. In the future Renault will get down an automatic variant as well. They have been studying the AMT (automated manual) and it should come in the near future. Don't however expect a larger more powerful engine, unless the market dynamics demand it. European nations and other countries will get stronger engines, but given the Indian market's penchant for fuel efficiency, the 799cc engine will be par for the course. The new Renault Kwid weighs in at just 660kg, making it lighter than its competition by a good 60kg as well as the lightest car in the segment. This raises a lot of questions about safety and Renault claims that it meets all required Indian norms. That's a pretty shallow claim considering Indian safety norms are as good as being non-existent or absolutely irrelevant. An airbag can be optioned but only for the driver's side, since the passenger side dashboard area is occupied by the stack of glove boxes. There isn't any ABS available either. However Gerard Detourbet insists that the crash structure is strong enough to avert most incidents. 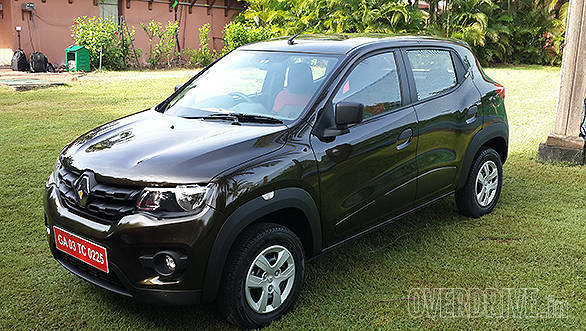 And thanks to its modular structure, as the norms get more stringent, the Kwid can be improved to meet those requirements. The suspension uses MacPherson struts at the front with a lower transverse link to reduce body roll. At the rear a twist beam with coil springs serves the Kwid. Ride quality is impressive with a taut character making its presence felt. I'd equate it to a few degrees lesser than the Duster, which is a class leader, but with similar levels of confidence and security. And though we did not get up to much speed on the inroads of Goa, I don't doubt the compact engine. The electric powered steering is surprisingly quite accurate and nicely weighed, in fact I began questioning if it was an electric unit at all. Brakes too felt adequate without any fade creeping in though discs all around, instead of just the ones at the front with drums at the rear, would have been a more secure way to go. Keep in mind there is no ABS and the tyres are skinny 155/80 R13s low rolling resistance types so wheel locking up in hard braking conditions are a high and harsh probability. Renault has done an impressive job with the Kwid no doubt. However don't swallow all the drivel that's bound to be marketed. Try it out for yourself and I'm certain you'd be surprised. This hatchback has great potential to provide good value to its owner. It has several areas of strength like its exterior styling, a strong power train, good ride quality, confident and secure dynamics, decent feature set and a host of options that are unmatched in the segment. Will this car, positioned in the sub compact segment, work out to be a healthy business model for Renault? Only time will tell. I'd place a bet on it, albeit a small one!